Hooligan EP Sue Wladar shares her top 5 experiences from her recent trip to Croatia! Embarking from Venice, we drove through the beautiful Slovenia countryside to Istria. 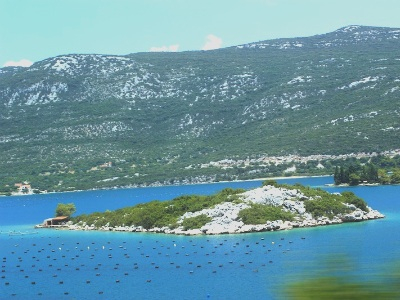 This mountainous region of Croatia is world renowned for its incredible olive oil and truffles – we were lucky enough to be invited on an actual truffle hunt. The forest was extremely dense, humid and filled with thousands of ravenous mosquitoes. 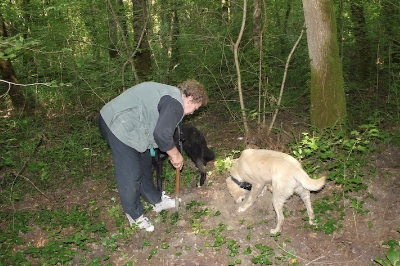 However, The trek was well worth it when one of the dogs found a rare hybrid truffle! Summer is usually the time for black truffles, but this was both white and black. Incredible. We were beyond thrilled. Split was our next destination. The Adriatic coastal city’s history is simply overwhelming. For instance, The Roman Emperor Diocletian (244-311AD) grew up in Salona near what is now modern-day Split. It is thought that upon developing debilitating arthritis, the infirmed and elderly Emperor feared someone would take his life if he didn’t abdicate the throne. Remembering the healing sulphur springs from his childhood, he returned to his native land and built his palatial retreat. 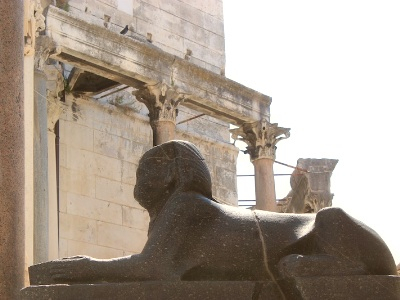 Beautiful and immense, Diocletian’s Palace is on the list of UNESCO World Heritage Monuments. 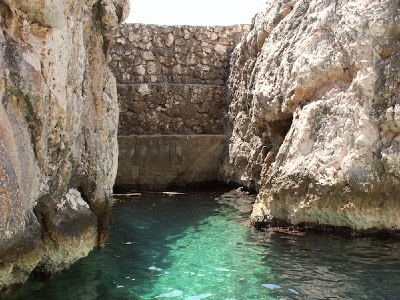 Its surrounding aqueducts remain in use, providing Split’s 250,000 population with water and housing. Leaving the mainland, we sailed to the breathtaking island of Havar. The terrain here is some the most beautiful that I have ever seen: its tall mountains rise from emerald-colored seas; and the solitude of the island’s hidden swimming holes felt like our own personal discovery. Havar is also known for its lavender, so even the air is gorgeous! And the food was mouthwatering. 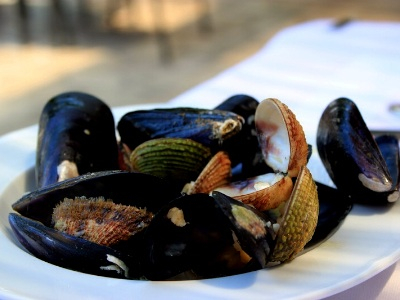 We sailed to restaurants in the middle of the sea where they would literally pull shellfish from the ocean right in front of you, grill them to perfection, and plate them in a matter of minutes. My husband is an oyster fanatic so we took a short trip to Ston, one of Anthony Bourdain’s “must visit” regions. The oysters and mussels here are supposedly the best in the world. My husband agreed. We ended our trip in the southern city of Dubrovnik. Game Of Thrones fans will recognize it as King’s Landing. It’s an absolutely amazing place. While steeped in ancient history, mortar and bullet holes strewn throughout remind you of the toll that the country’s most recent war took on both the city and its people. A history not too far removed.